Put two off-roaders together and the first question from either is generally “What’ve you got on the go at the moment?” This is often followed by “You’re doing a WHAT! ?” Occasionally it is “Oh, one of those…” but more often it’s “You must be mad”. You choose which of these statements is applicable to us as we head into Act Seven of the ‘King of the IT crowd’. To be honest I thought I’d be riding this IT465 by now but hey ho, that’s the way things go sometimes and unlike our last few project bikes where spares have been plentiful, the IT range has gaps in it. 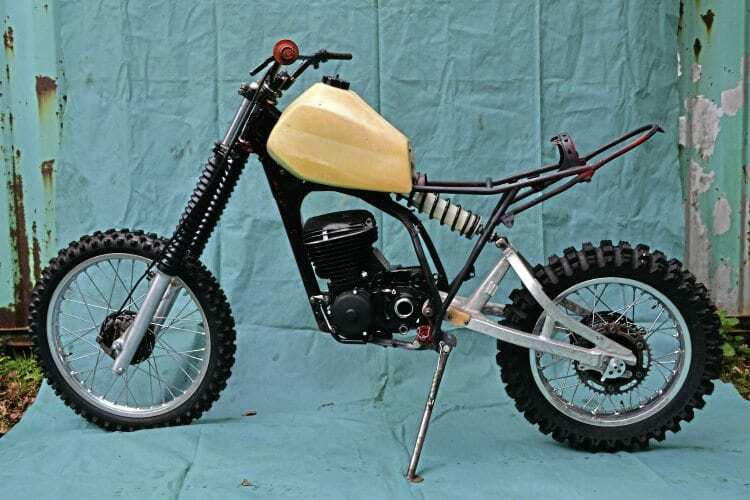 Okay, people are working to fill these gaps but it can still be a long process to source bits but there were enough bits to make a rolling chassis for the International Dirt Bike Show stand.